Kaitlin Dalakian is a graduate of the prestigious Musical Theatre program at Westminster Choir College in Princeton, NJ. 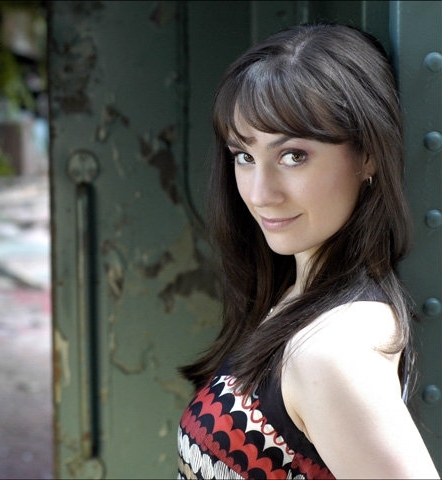 She has performed with the New York Philharmonic at Lincoln Center and played leading roles at regional theaters including the Bucks County Playhouse. Some of her favorite credits include Guys and Dolls (Sarah Brown), The Music Man (Marian Paroo), and Into the Woods (Cinderella). Film and television credits include Confessions of a Shopaholic, Law & Order: CI, Gossip Girl, and MTV's Camp'd Out. Kaitlin has also directed, choreographed, and costumed numerous shows such as Seussical Jr., Thoroughly Modern Millie Jr., Oklahoma!, Once Upon a Mattress, The Sound of Music, and 13! Kaitlin has been a member of the National Association of Teachers of Singing since 2010 and is currently the NJ Vice President. She also has some credits towards her Master's Degree in Vocal Pedagogy through Westminster Choir College. For the past eleven years, Kaitlin has held a private voice studio of over 50 students. She is thrilled to be joining the staff of Vanguard Music Studios and welcomes students of all ages. During lessons, Kaitlin focuses on vocal technique, self confidence and expression, and performance coaching. She loves teaching musical theatre, pop, and classical styles of singing.